Running Fred - Run or Die! 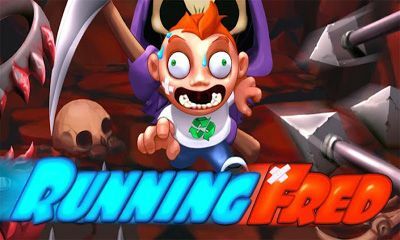 If you are a gaming enthusiast and wish to test your gaming skills, playing games such as Running Fred is a must for you. An action packed game filled with exhilarating moments, Running Fred is a game like no other. You need to keep making your way through numerous hurdles jumping, running and escaping obstacles that may put an end to your life instantly. But this is not it. In fact, the game has scores of surprises that keep you engaged. The more you play this game the more you feel the urge to play it again and again. Be Ready for Adrenaline Rushes! Running Fred is your quest for survival. Just like real life, there are scores of problems in the form of obstacles that you will come across in the game. It is no less than the test of your nerves. If you can stay focused, you have a chance to make progress but if you cannot really stay alert for a long time, you will soon lose. From the start of the game till the very end, you will get adrenaline rushes as you need to continue running in order to survive. There are traps to escape, huge blades that you need to watch out for – if you don’t you will be cut into pieces. As you keep going ahead, the game will get more difficult and intense, exposing you to higher degrees of challenges. Since Running Fred does not give you a moment to rest. So gamers who want back to back fun and continuous engagement must check it out. In fact, this game is ideal for all those who seek test their gaming skills and prove their expertise in the world of gaming. When you start playing this game initially, you may die a number of times till you get a hang of it. But the idea is never to give up. No matter how many times you may fall into deep hollow that would end your life or how many times you are cut into pieces by huge blades there is always a chance to give it another try. If you have the will you will certainly be able to make it through the world of challenges and go ahead. The variety of hurdles that you need to cross and survive is what makes this truly exhilarating. You never know what type of obstacle you may need to watch out for in the next moment. Previous Post: Dynamic Search Ads: Should You Use Them?